The holiday season is notorious for the indulgent foods we’re served at parties, family gatherings, and even in the break room at work. From savory roasts to butter-coated birds and all of the sinful sweets that come between, the two months of November and December can wreak havoc on your diet, your waistline, and your self-esteem. Sadly, these fattening, high-caloric foods come around as the days grow shorter and colder and most Americans stray from the regular exercise routine. (December is the month Americans exercise the least during the entire year.) And while research from the New England Journal of Medicine shows that the average weight gain per person between Thanksgiving and New Year’s Day is just one pound (unbelievable, isn’t it?) that pound stays on us all year long until the next holiday season rolls around—when we add one more. Sure you can try to abstain from these holiday treats but who wants to miss out on the tradition, the socialization, and the comfort we all get from partaking in holiday favorites? And trying to limit yourself works about as well as telling the proverbial kid in a candy store that all he can have is a stick of sugarless gum. But there is a way to enjoy the holiday foods you love while cutting calories and either maintaining or even losing weight during the holiday rush. The Hollywood Cookie Diet® is the answer you’ve been waiting for. These meal replacement cookies actually allow you to substitute one or two meals per day for a well-balanced and nutritious cookie (two per meal) that keeps you full while actually decreasing the amount of calories you’re consuming. This alone is enough to keep those stray pounds off in the face of all that holiday temptation but if you can restrain yourself even further you may actually lose weight. The Alpha Medical Center, specialists in the study of weight loss for over 20 years, conducted a study of the Hollywood Cookie Diet and found that if participants followed the instructions, replacing breakfast and lunch every day with two cookies, they enjoyed what the scientists called “significant” weight loss over the course of two weeks. Indeed, the average weight loss during that time frame was seven pounds! 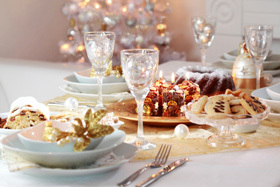 While participants were instructed to limit their dinner to just 900 calories, the implications are stunning: you can eat those holiday favorites and maintain or even decrease your current weight! And with the holiday season upon us, now is the time to start your Hollywood Cookie Diet®!